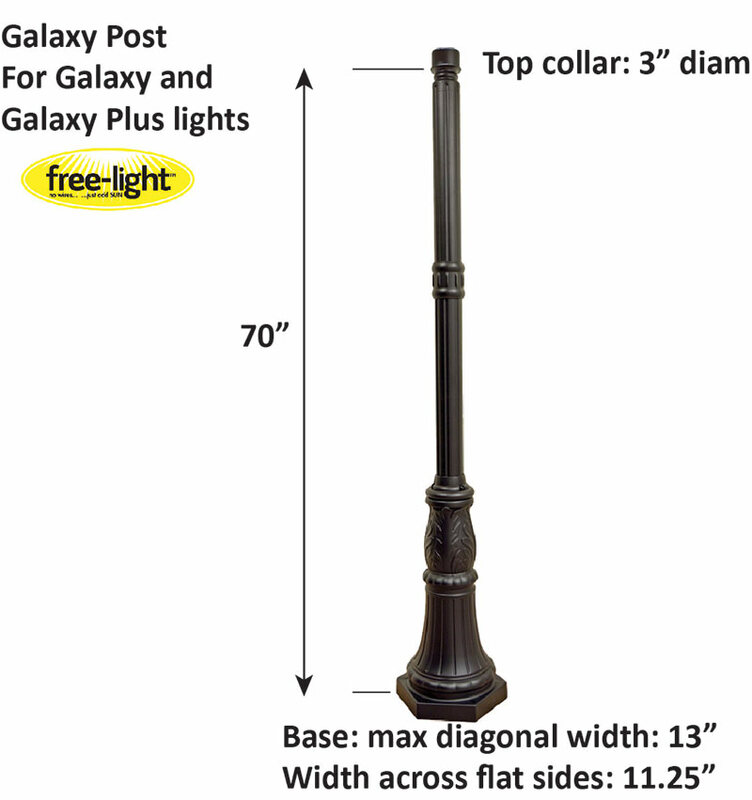 Best Feature of Galaxy Post:Rugged, heavy duty courtyard post for GALAXY series solar lights. The GALAXY Post turns these lights into courtyard models. 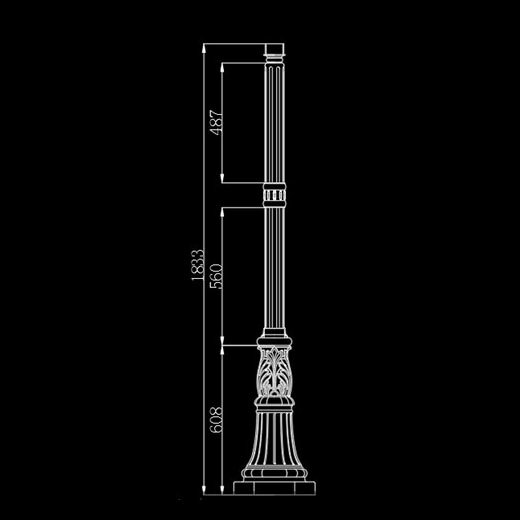 Extremely well made of thick aluminum, this post will support the lights easily and securely. Die cast base with extruded posts and careful CNC machining make this a premium post that will last for years! 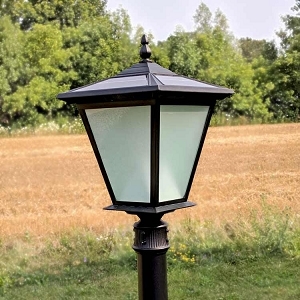 Great for end of driveway, near dock, pathways to cottage, imagine the uses for this post with a Galaxy Post or Galaxy Plus Post solar light. Base has 4 holes to mounting securely to your concrete pad or patio slabs. The post comes in three pieces, requiring assembly. The base is mounted to your concrete pad first. Then bolt the first section of post to the base using the included screws. Add a small drop of light oil or WD40 to the threaded end of this post, and add the coupling adapter to the first post. Finally, add another drop of light oil or WD40 to the threads on the top post and thread it into the coupling adapter. 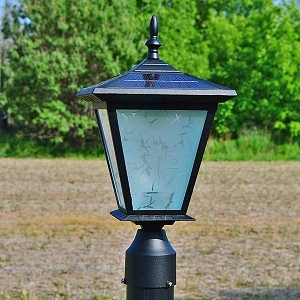 Slide your Galaxy or Galaxy PLUS post mount solar light on to the post, and secure to the post with their screws. All done!